Jamy Ian Swiss has developed perhaps the most compact, amazing, and practical "Card on Ceiling" ever published, and now he shares the work on video for the very first time - a method you will carry with you every day, always ready to perform this unforgettable feat at a moment's notice. You'll learn every improvement and advantage from Swiss, who has honed this routine to perfection over decades of performances. 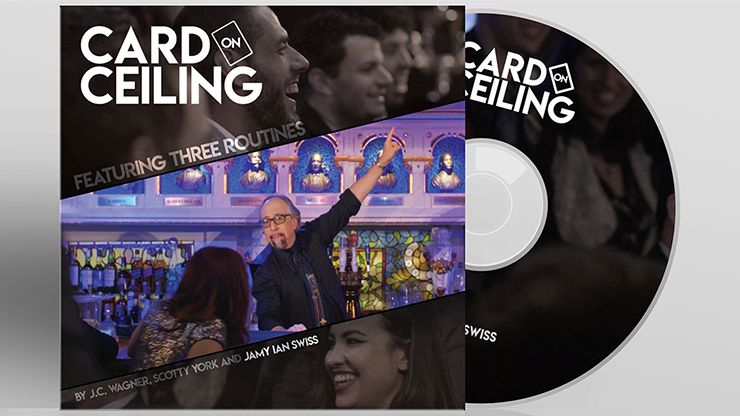 If you have ever wanted to learn this classic of magic, in which a signed selected card mystifyingly appears on the ceiling, this DVD is essential viewing!